If you’ve never moved abroad, the relocation process can seem difficult. Even a seasoned expat can feel overwhelmed. And while moving will probably never be a stress-free experience, you can do a few things to simplify the whole ordeal. I’ve been living abroad for over seven years and moved internationally twice during that time. The first time, I was starting university and only brought what fit in my suitcase. Just recently, I moved again. But this time, I moved with my husband, our pup, and our furniture. I learned a lot from these two very different international moves. Today, I’m sharing my top takeaways. Here are 7 minimalist moving tips to simplify moving abroad. Moving abroad is a great opportunity. Living in a new place and learning a different culture by experiencing it firsthand is priceless. And, while you might not realize it, the moving process itself can be just as valuable. You just have to see it as an opportunity. Moving gives you the chance to kickstart your dream lifestyle. Going to travel the world? Only pack what you can carry on your back. Planning on starting a family? Leave behind any questionable items from your youth. Want a piece of island living? Sell the snowblower and other winter gear. Moving is the perfect opportunity to define how you want to live your life and take that first step toward achieving it. 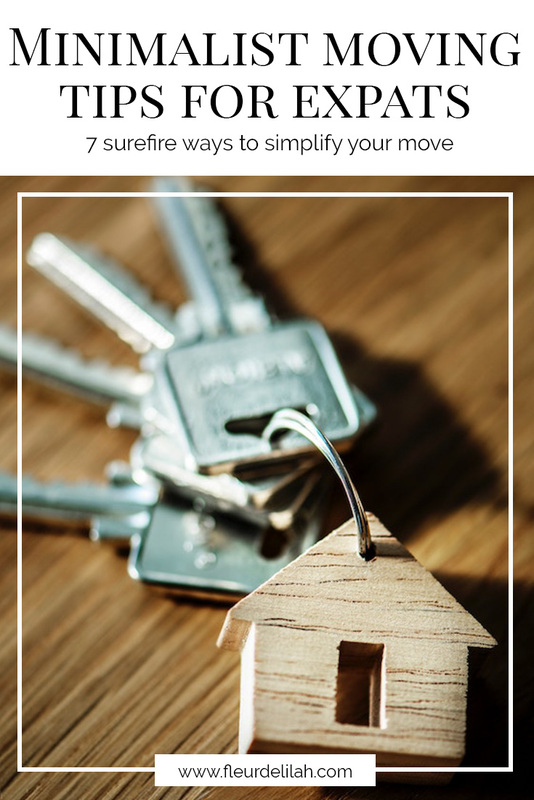 If you want to simplify your move, you’re going to have to make a plan. Go over what you need to do and the timeline for each task. Research and review what resources you’ll have available at the new location. Is the voltage different where you’re moving, and will you need to get a transformer or new appliances? Is rent more expensive or are homes smaller on average? This information can help you decide what to pack and what to get rid of before you even set foot in your new neighborhood. While you’re planning, make sure to ask yourself these nine questions. When I was about 11 or 12 years old, my dad got a job at a different company and we had to move to a town a few hours away. We had a ton of boxes, so the movers put them in the basement at the new house so we could go through them at our own pace. Years later, long after I moved out, my dad downsized. And guess what? Still in the basement were many of those boxes, completely untouched. It was at that time they sold all the extra stuff. I have a rule: declutter before you pack. Why? Because, while it’s a pain to declutter before moving, decluttering after moving just doesn’t happen. You’re getting adjusted to a new location, learning a new job, going to a new school, creating a new network. After you move, you don’t have time to do a major declutter. Start this new chapter in your life without all the excess baggage (pun unintended) and go through everything before you pack. And as an added bonus, your moving fees will be lower! Once you’ve decluttered, you can start to pack. Avoid bringing more stuff by using what you have. Use storage bins and suitcases you already own. Pack your clothing with fragile items. You can even use newspapers and junk mail from the past few weeks as packing paper. Besides the junk mail, these are all things you’d be packing anyway. So, pack strategically to prevent bringing new things into your life. For our recent move, we sent our things via sea freight. This meant we had to pack everything we and our pup would need for four weeks (which, somehow, turned into six weeks) in our suitcases. And to be able to do that, we had to figure out what was absolutely essential. 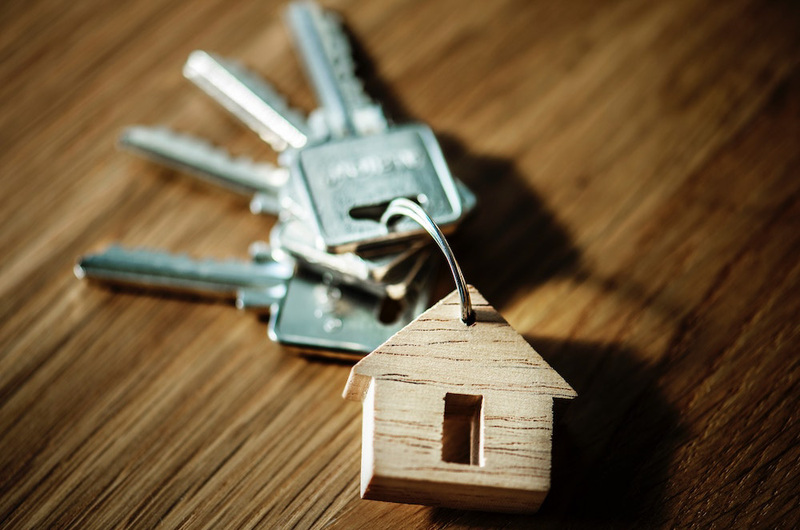 Whether you’re moving halfway across the world or just a few hours away, keeping any important paperwork and belongings separate and easily accessible will make your move so much easier. So how do you decide what’s essential? Think about what you use on a daily basis and strip it back to the bare minimum. Think two or three toys per child or pet, a laptop or tablet that can be used for work and entertainment, and a capsule wardrobe. Streamline settling in with clear labeling. First, label your boxes by room. This makes it easy for movers to put boxes exactly where you need them. Also, write down key items in each box, such as winter jackets or fiction books. Doing this helps you find things and prioritize what to unpack. Don’t relax just yet. Now that you’re in your new home, you have to unpack. And it’s best to do this mindfully, because chances are you’ll find a few more things you don’t actually need. Even after making a plan, you might find some things you can’t even use. In this latest move, we found out our bed, bed frame, and desk wouldn’t even fit in our new apartment (#tinyliving). There are two ways to unpack to your advantage. The first way is to use The Minimalists’ packing party technique. Here, you unpack over the course of maybe a month, only taking out items you need when you need them. At the end of the month, you can assume the rest is more or less unnecessary and discard. This is a great method if you don’t know what you really need and want evidence of each item’s value. But living out of boxes for a month can be tedious. Personally, I don’t like to wait to unpack. I can’t function properly in a mess. So, I unpack everything within a day. I quickly take everything out and put them where they belong. With everything fresh in my mind, I can quickly see what works and what doesn’t. So if something doesn’t fit, I can immediately get rid of it. Also, I can make note of things I need to buy or replace if, for example, something breaks during transit. This method is great if you can see the big picture and want it done quickly. Moving will never be easy, but it can be simple(er). Use these tips to minimize the excess and start your life abroad feeling refreshed. Want more tips on expat living and minimalist life? Sign up for the newsletter!